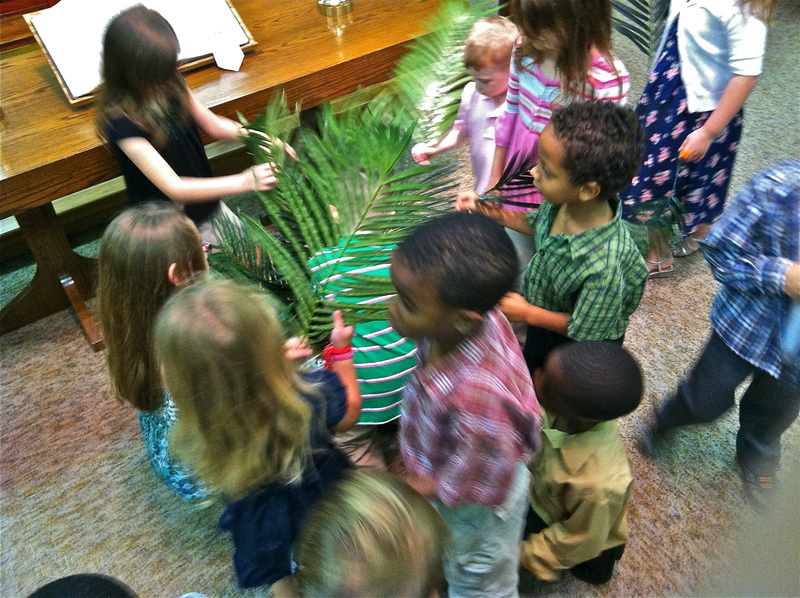 Church - a little mayhem with the Palm Sunday visual aids! We had a lot going on at church yesterday, but I’m going to focus my post today around the question, “What is a faith community?” I could simply share a few pictures, or I could try to explain the progression of my thinking. So I’ll do both. Essentially, what I have to say boils down to three aspects of my Sunday. Worship. Education. Community. 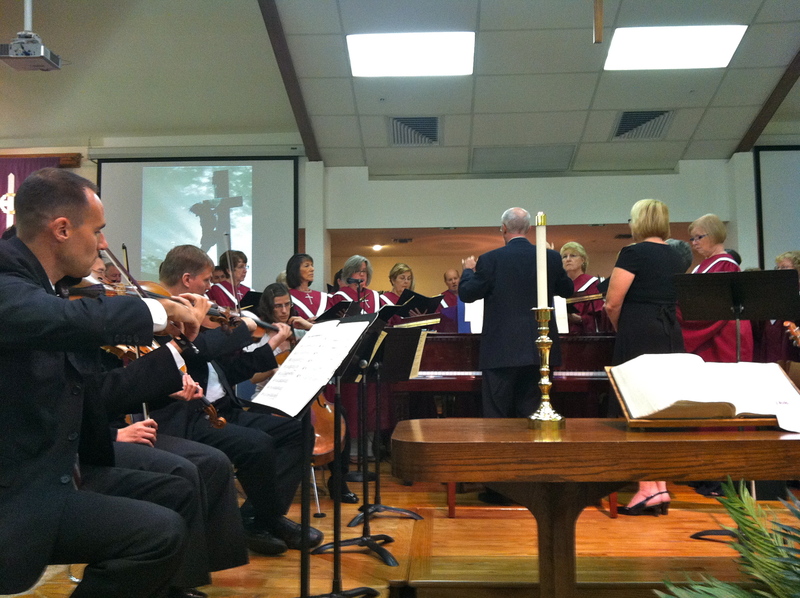 WORSHIP: Yesterday The Word was brought to the congregation via music and a series of readings from the Gospel of Mark. 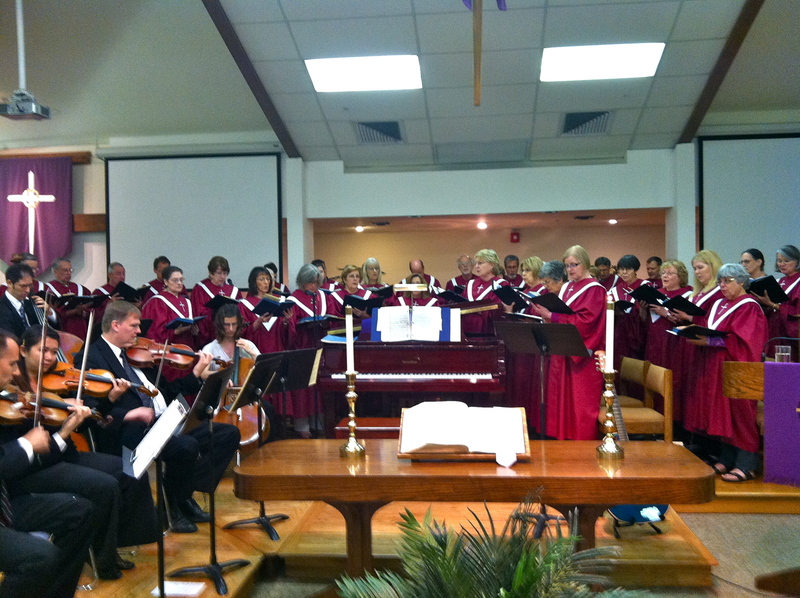 Our choir – which has been growing recently and is full of life – did a terrific job with some difficult pieces. COMMUNITY: My adult ed class is certainly a great example of community, albeit in the more formalized setting of eduction. Ditto for the worship experience. 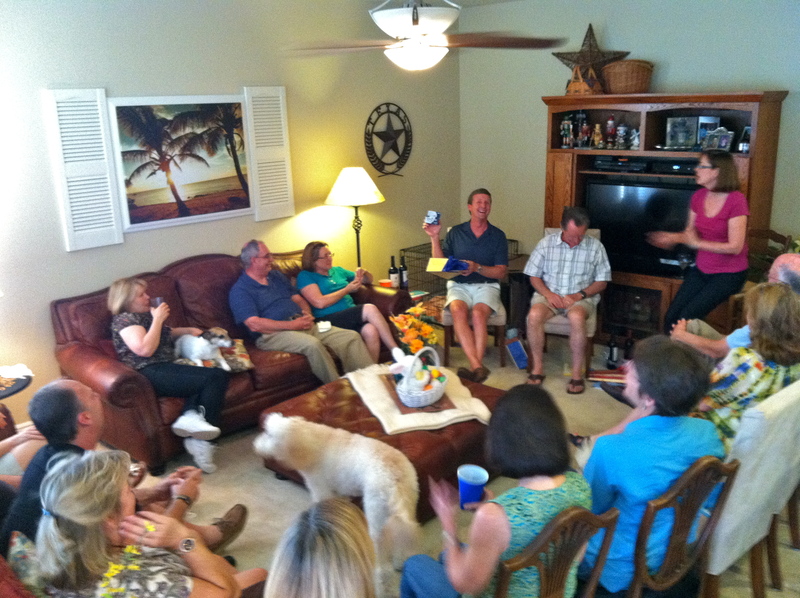 Then there’s my Sunday evening “small” group. Last night we met to celebrate a couple of significant birthdays (Let’s just say that Steve and David both have big “zeros” on the end of their numbers this year…). 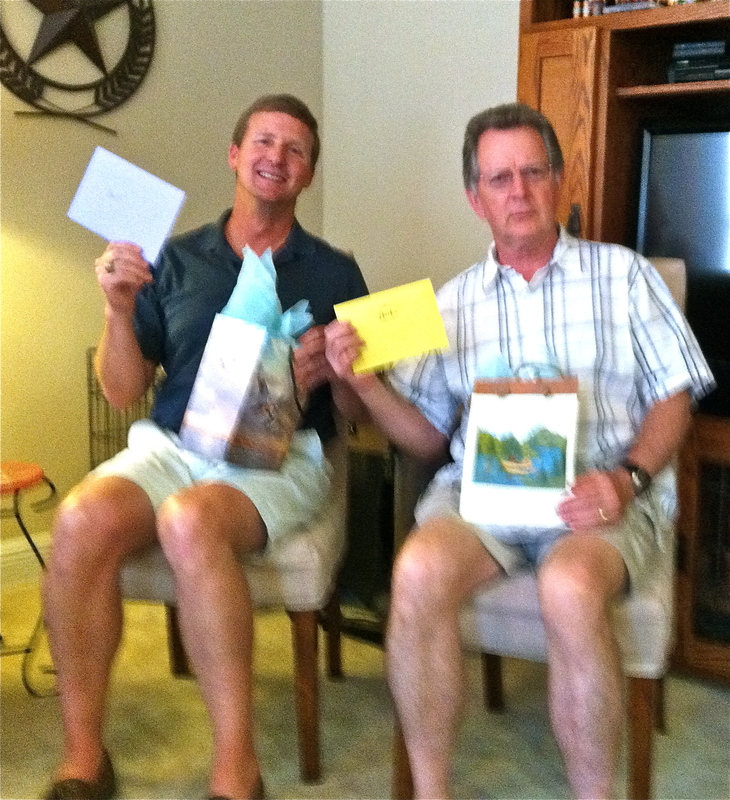 David and Steve - birthday's with a zero! We simply hung out together, shared food, read silly and serious birthday cards, and concluded the evening by sitting in a circle to share joys and concerns before praying together. What we do, and I recommend the small-group experience to absolutely everyone – it will transform your church – is life together. We do life together. Not just that, but we do life together in the context of the author of life. We do life together, with Jesus. The parade of children that bounced its way into my church (yesterday) turned into a parade of people going back out into the world…. We sang; we celebrated; we prayed; we read God’s word; and we listened to the good and challenging news of the gospel. But then we were called to leave the church and to be followers of The Way in this world. We’re carrying the same message that Jesus offered, the message that led to the cross. Aren’t we? How will the Jesus story be told in our lives today?